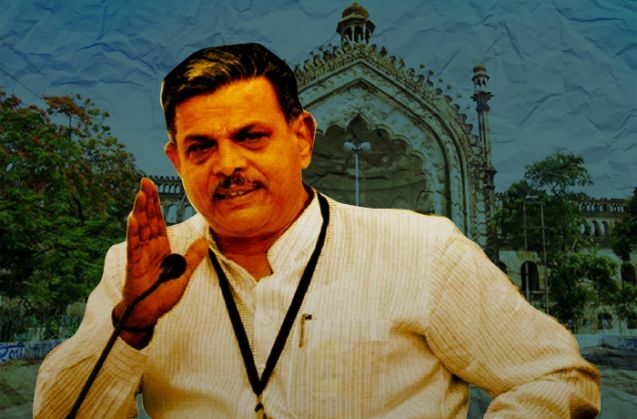 One of the most significant decisions at the recent Akhil Bharatiya Pratinidhi Sabha meeting of the RSS was when Dattatreya Hosabale was given charge of Uttar Pradesh. The senior pracharak is presently an RSS joint general secretary (sah-sarkaryawah) and assumes the third senior-most position in the hierarchy of the organisation. This is only the second time in the Sangh Parivar's history that any joint general secretary has been given the responsibility of its Lucknow centre. Earlier, noted RSS ideologue Bhaurao Deoras worked in the same capacity. Hosabale's deputation has political, organisational and strategic connotations. He faces the twin challenges of setting the BJP's house in order before the state elections, while strengthening the ideological base of the RSS in northern India. RSS insiders point towards his vast experience and deep political understanding to stress that he could be the right person for the job. Many view Hosabale as a potential successor to current RSS chief Mohan Bhagwat. 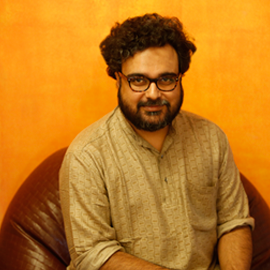 He has spent many years working for the Sangh Parivar's student wing, the Akhil Bharatiya Vidyarthi Parishad (ABVP), in Uttar Pradesh. This means he has a personal rapport with many senior BJP-RSS functionaries in various parts of the state. Having such penetration within the organisation gives him an extra edge. This is the reason Hosabale could play a crucial role in solving the leadership crisis confronting the state BJP unit. Rajnath Singh, by far the tallest BJP leader from the state with an RSS background, has failed to contain inner-party factionalism. Many senior state leaders do not consider him as their leader. In fact, no single BJP leader has such acceptability among the party ranks in Uttar Pradesh. This has left BJP bereft of any undisputed leader in the state. The BJP's graph in UP has only dipped after the Ayodhya movement. Its performance has consistently declined in successive polls over the years, except the 2014 Lok Sabha elections. Therefore, the resurrection of the party organisation remains a major cause of worry for the RSS in the state. The upcoming Assembly elections in 2017 have only increased these concerns. These elections are being seen as the semi-final ahead of the 2019 general elections, and the BJP and the RSS can ill-afford to lose, for the sake of their agenda. Krishan Gopal is another prominent face of the RSS from Uttar Pradesh. He is also a joint general secretary of the organisation, like Hosabale. BJP had fought 2014 elections in the state under his guidance and managed to win 73 out of 80 seats. This would have made him an obvious choice as the UP in-charge of the RSS. However, the RSS top brass was in favour of assigning this responsibility to a leader from outside the state, in order to prevent bickering. For the BJP, it's a clear-cut case of too many cooks spoil the broth. Even as astute political manager like BJP national president Amit Shah has failed to reinvigorate the scattered state leadership of the party. The BJP still boasts of a battery of stalwarts in UP - from Yogi Adityanath, Mahesh Sharma, Murli Manohar Joshi, Kalyan Singh and Kalraj Mishra to Dharmpal Singh and Vinay Katiyar. But, most of them have remained confined to their own areas of influence. Their internal differences have only compounded the problems of the party. This has led the RSS leadership to believe that the crisis cannot be left to the BJP, and its intervention is necessary. Handing over the reins to a single individual would mean running the risk of favouritism and infighting in ticket distribution, as well as important appointments. The party would not like to go to the polls with disgruntled segments within the party. It cannot hope to repeat the phenomenal performance of 2014 in such a scenario. This left the Sangh Parivar with only one option - to hand over the command to a leader of Hosabale's stature. His strong organisational capabilities might ensure that there is no bungling in the selection of candidates and the appointment of important party functionaries. He is also expected to implement the RSS agenda in India's most politically-important state. Bhaurao Deoras had propounded the theory of social engineering for this purpose. He maintained that the RSS must work to win the hearts of Dalits and other backward classes. Hosabale, who is known for his comparative open-mindedness, is likely to take this strategy forward. One might see several new experiments in social engineering during his tenure. All RSS and BJP leaders are aware of Hosabale's present and future prospects in the Sangh. This would ensure there is little scope of dissent against him. According to RSS observers, even a poor showing in UP would not hamper his prospects, and his ascension to the top post is almost certain. Still, it would be incumbent upon him to give the BJP a chance in the upcoming elections. It is not only his responsibility, but also a challenge as a senior RSS leader.